A collection of our favorite interviews and videos. Click on an image to watch video and read more. Let's talk about getting a jump start on the holidays. Looking for the right diet to help you lose weight AND maintain it? 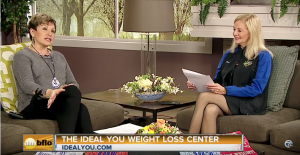 This week on WNY Living, Donna talks about two amazing dieters.